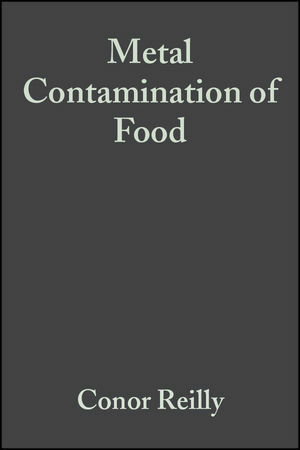 Since publication of the previous edition of this successful book, there have been many advances in the field of food science and metal analysis and these have been taken into account of in compiling this new edition. Data on metal levels in foods and diets have been updated with information gathered from recent international literature. More than 80% of the text has been completely rewritten and, as the addition of a new subtitle suggests, greater account is taken than in earlier editions of the importance of the nutritional properties of many of the metals that we consume. In the compilation of this cutting-edge new edition, full account has been taken of the significant advances in the ready availability of multi-element analysis, improved sample preparation procedures and a growing interest in the content of chemical species in foods. Details of several metals, not considered in depth in previous editions but now widely used in the electronic and chemical industries, have also been included. Conor Reilly is Emeritus Professor of Public Health at the Queensland University of Technology, Brisbane, Australia, and also Visiting Professor of Nutrition at Oxford Brookes University, Oxford, UK. Preface tp the third edition. PART I: THE METALS WE CONSUME:. Introduction; Ash; The metals in food; Chemical properties of the metals; Representative and transition metals; Distribution of the metals in the environment; Metals in human tissue; Metals in soil; Metals in food; Metal analysis of food; How metals get into food; Metals in food and the law..
PART II: THE INDIVIDUAL METALS:. The persistent contaminants: lead, mercury, cadmium; The packaging metals: aluminium and tin; Transition metals: chromium, manganese, iron, cobalt, nickel, copper, molybdenum; The other transition metals and zinc; The metalloids: arsenic, antimony, selenium, tellurium and boron; The new metal contaminants; The radioactive metals; Radioisotopes; The catalytic metals; The electronic metals; Germanium; Tantalum; Caesium; Barium, beryllium, thallium and the other metals - summing up; Bismuth; Lithium; Zirconium; Cerium and the other rare earth elements; The remaining metals: summing up. "Ein Standartwerk der angelsächsischen Lteratur, das eine weite Verbreitung verdient und in die Grundausstattung der Bibliotheken gehort." H Klostermeyer, European Food Research and Technology, May 2003.
circulationand belongs on the shelves at every library."